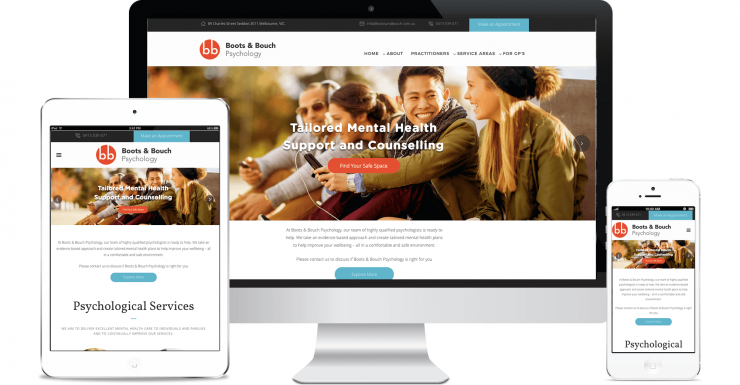 Boots & Bouch Psychology is a psychology clinic in Seddon, a suburb in Western Melbourne. They provide individual and family counselling services in a range of areas, from youth mental health to disordered eating. From the content pages to the chosen imagery, we designed a website that would showcase the client’s clear passion for his field of work as well as his expertise. We also provided web development and logo design services.